Have you ever thought about what possesses a person to create a name like “Woodlawn?” It’s such a common name for a city, but what the heck was its origin? I mean, why not name it Polyesterfence or some weird crap like that. Or maybe “Liverpool”. Oh, that one is actually real. Why can’t they just make a nice creative name—like City of Angles? Beyond Woodlawn and Liverpool being something you wouldn’t want in a literal sense (grass lawn and water pool, please) they both have their “football” teams. I guess that’s the formula. I will go establish the Polyesterfence Football team. Watch out for them because we’re going to make a deep playoff run in 2016. They have more in common than Liverpool and a pool of livers. Serious time. 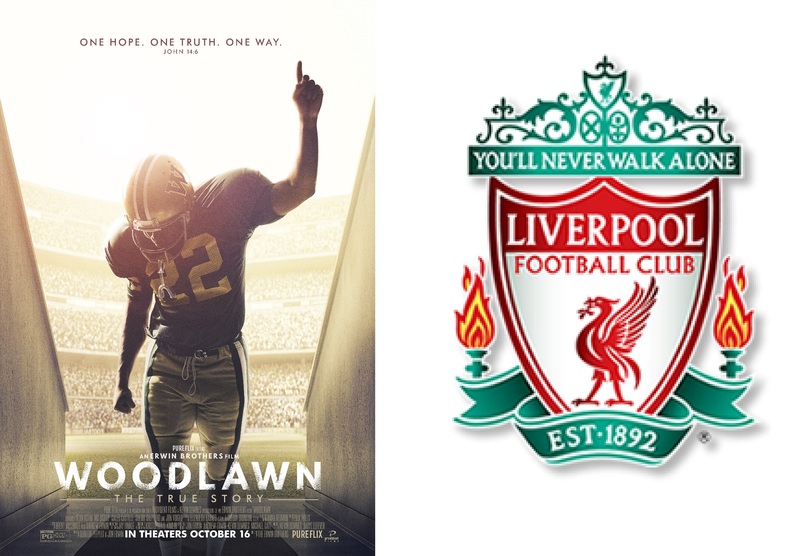 Woodlawn is a film that ties in football with religion, racism, and…Rudy? In actuality, it has more to do with Alabama and one of Notre Dame’s rivals than Notre Dame itself. I won’t say much more since I don’t want to reveal more than the trailer does. However, much like Rudy, it’s a story about an underdog football player that goes on to play for a blue blood program. The film had a surprisingly large budget for a Christian movie, which are typically under $5 million—and it showed. There was definitely production value. It wasn’t some empty shell of a movie just meant to get a message across. The cinematography and acting are what you would expect out of a Hollywood film. Heck, they managed to grab big name actors like Sean Astin and Jon Voight. Amazingly, Woodlawn‘s $25 million budget is a whole $10 million higher than When the Game Stands Tall. Like When the Game Stands Tall and other inspirational football movies, Woodlawn features lots of cliches and predictable moments. Regardless, they found a way to make the movie enjoyable. Much more so than When the Game Stands Tall. Yeah, that one was bad. The way they integrated (see what I did there?) historical footage was satisfying. They also put an old-timey, vintage filter over certain parts to give it a similar feel. None of it seemed overdone or tacky. The faith aspect of the movie was present and struck a good balance. It wasn’t overly invasive until the latter part of the movie. Some people may be put off by that. I would tell you to give it a chance regardless of how you feel about Christianity since the movie is pretty good. There might be no hope if you hate football though. Caleb Castille, who played the role of Tony Nathan, is actually a former walk-on at Alabama.